In which I take a wrong turn and visit a fort atop a mountain rather than one that is far more accessible and elaborate and therefore the usual destination of tourists. 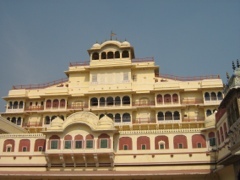 We took a local bus from Agra to Jaipur at noon on November 8. Our group had 17 seats in the middle of the dirtiest bus I have ever seen in my life (not surprising, as the air is full of dust and dirt — and since the fans that are positioned over the seats every few rows don’t work, the bus travels with the windows open). 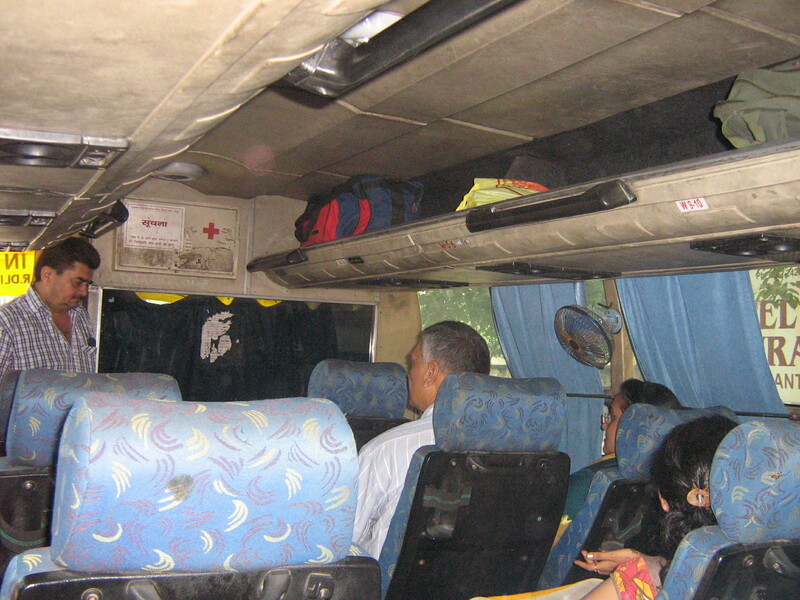 There is no bathroom on the bus: an ongoing concern for those members of our group who have been coming down with various stomach ailments, although the drivers have been quite agreeable to stopping by the side of the road when we feeble-bellied foreigners absolutely need them to. “This is India,” we keep reminding one another when something or other is not up to our usual standards. At least the bus was running…. 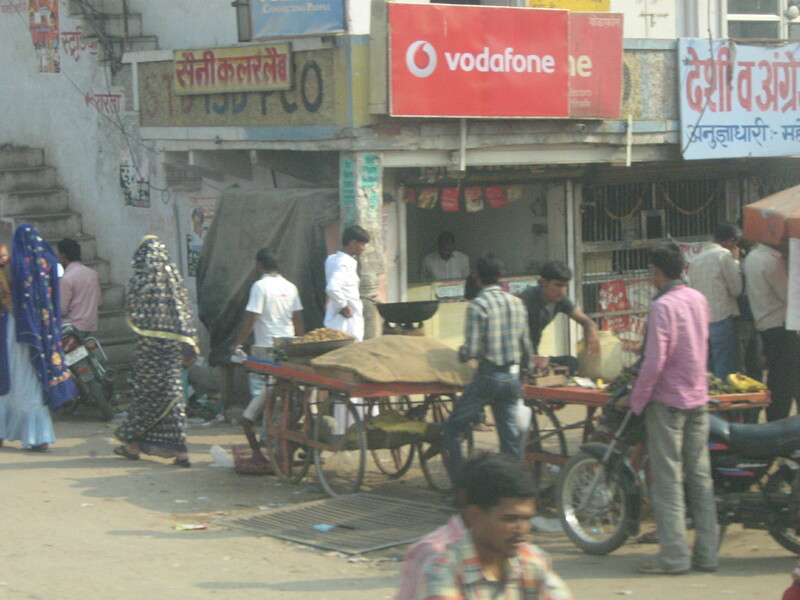 After we’d travelled for about ten minutes (we were still in the madness of Agra traffic), the bus rolled to a stop. I thought perhaps we were taking on a few more passengers, but the driver stood up, turned to those already on the bus, and yelled something at us in Hindi. Our guide translated: the bus needed a push. So all the men got off (clambering over a few suitcases in the aisles on the way) and pushed. The engine caught almost right away and we were off again, without further incident in that department. The highway traffic was like city traffic except more spread out: there were trucks, other buses, motorcycles, tractors, a few SUVs, pedestrians, camels (mostly led by their owners) and cows and bulls (not apparently owned by anyone). The vehicles’ horns are used as frequently and as with as much purpose on the highway as they are in the city, and the traffic lines are ignored as often. The only real difference on the highway is that everyone is going faster. It is important not to try to watch the traffic coming toward you when you are a passenger on the bus any more than when you’re in a tuk-tuk: you have no control over what is going to happen to you, so there is no point in looking. We stopped regularly in towns to let local people on and off, and we drove by very poor, crowded, stinky semi-urban areas as well as more rural scenes. The image of women crouched in fields at work in their brightly coloured saris will not soon leave me. 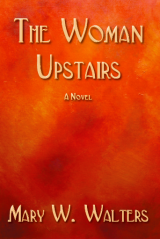 (Neither will my encounter with an aged woman at the one scheduled lavatory stop we made. 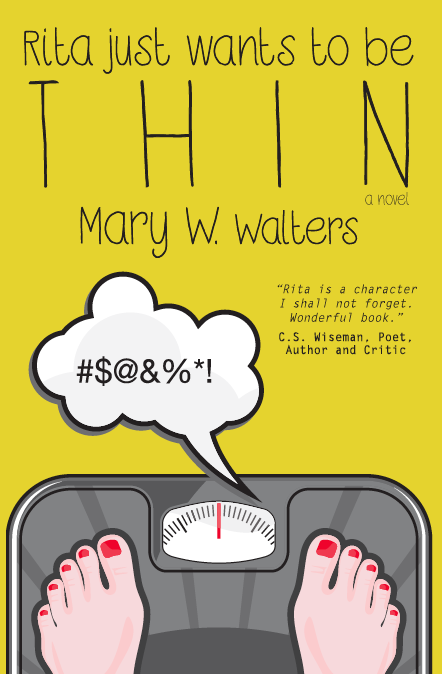 She was handing out strips of toilet paper to the tourists, dressed in a bright yellow sari, nearly toothless, wizened, talking cheerfully on a cell phone. I gave her a small amount of money for her efforts. She pocketed it [? Are there pockets in a sari? ], gave me a long look and then offered me another piece of toilet paper, which I declined. It is not common practice to say “thank you” if you’re Hindu. So we were cool.) The farming methods I saw were very primitive compared to those I’m used to: I saw one group of people sweeping the grain off stalks of wheat onto tarps, using long poles. Many of the towns have high towers rising from them which are the chimneys of kilns for making bricks. if you are driving a police vehicle or a funeral van, or are a member of parliament or the winner of a gallantry award, you don’t need to pay a toll fee (see complete list of those who do not need to pay toll fees, and other photos from the bus trip between Agra and Jaipur, here). I also learned a lot of cool stuff from our guide and my books about the state of Rajasthan and its feisty chiefs, who — unlike those from many other states — fought off or figured out ways to work around or with various would-be conquerors over the years and in 1947, when the country was officially divided into states, they were able to have their state named after them. Here, the rajas also retain stature and respect. The descendants of Jai Singh II, for example — who built the city of Jaipur starting in the mid-1700s, naming it after himself — are still considered heads of state by the people of the region. 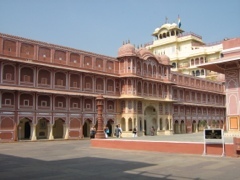 The royals maintain a residence at the magnificent City Palace, which I toured, and the Raj’s flag is raised over the palace when the royal family is at home… sort of the same way as the Windsors’ is at Buckingham. 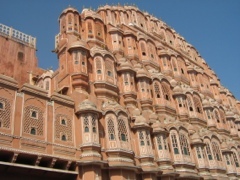 Jaipur is known as the Pink City, as many of its buildings were painted pink in the late 1800s to reduce the glare from the sun, and many still retain a deep peach-pink cast, but aside from its historic buildings, it is the architecture of the city that is its main claim to fame. Jai Singh II survived being supplanted by the Mughals because Akbar recognized his brains and creativity when he was still a boy — giving him the honorific name “sawai,” meaning “one and a quarter” — and left him to do his thing. Sawai Jai Singh certainly fulfilled his promise, proving not only a wise, kind ruler of his people but also a scientist, mathematician and architect. He built the city of Jaipur according to a very precise set of measurements so that all the streets intersect at exact angles around a central circle. Even the stores on the main streets were built according to strict specifications, and all are exactly the same size. 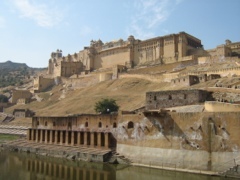 the Amber Fort and Palace. I will need to go back to Jaipur to see the Amber Fort and Palace as I missed it completely, having inadvertently had another adventure instead (see below), but I will not complain about this as I loved Jaipur and would be happy to go back any time. To other prospective travellers to Jaipur, I highly recommend staying at the Jaipur Inn which is almost European in its wide stone hallways, mosaic tiles, screened windows, balconies, and a bar on the rooftop that overlooks the city. It is VERY clean, and friendly: the owner offered to take any of us along who wanted to accompany him on his daily hike to the top of a nearby hill to watch the sun rise over the city. 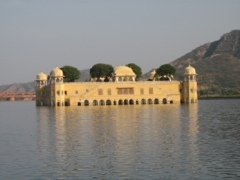 Having done my own hike, I did not join him, but I felt safe and happy in Jaipur and highly recommend a visit there. In Jaipur in addition to the sights, we took in a Bollywood film, which is an adventure in itself, and only INR70 (about $1.50) per head. You get a reserved seat and everyone is let in just before the movie starts. The theatre was huge and ornately decorated, and the film that we saw has had the largest take of any film in Bollywood history, and it’s only been out for a few weeks. It is a science fiction film named Ra-One (for “Random Access Version 1.0”) and it is the story of a video game that goes badly wrong and starts wreaking havoc on the life of its inventor (Shahrukh Khan), his wife (Kareena Kapoor) and their very cute son (Armaan Veena). It was in Hindi without English subtitles, but it was easy enough to follow. 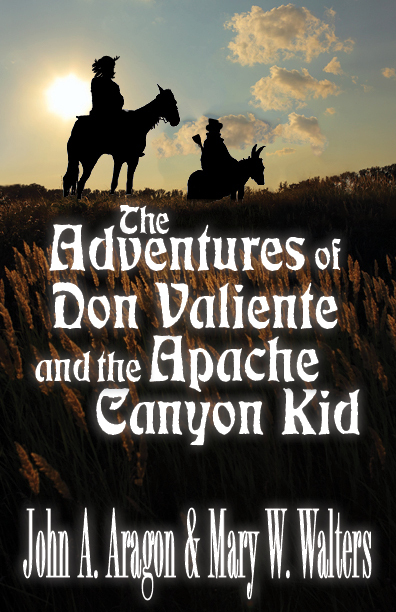 The movie was terrific but the audience was the best: they shouted encouragement at the good guys, yelled and booed at the bad guys, cheered the hero, sang along with the songs, calmed their screaming babies when necessary, danced to the music, and talked on their cell phones. It was amazing. I am going to take in a Bollywood film in Toronto (maybe the same one. Wouldn’t mind seeing the subtitles because I missed a few jokes and other language-based plot points) to check out the atmosphere created by the Indian-Canadians who attend. Now that I’ve seen it, I wish I had attended some of the Bollywood Film Awards festival that was held in Toronto earlier this year. I descended from the tuk-tuk and headed up toward the fort. After a ten-minute walk, I realized that no one had offered me a ride, and only one vendor — whose hopes I’d raised by asking the price of a hat he was selling, then dashed when I decided not to buy it despite the way he cut the price from his original high of 600 rupees to about 200 — had tried to sell me anything. The wide path was essentially deserted. Thinking that perhaps all the rest of the tourists had been suckered into the offer of a ride, not having access to the wisdom of my tuk-tuk driver (where do I get such crazy ideas, anyway? ), I kept going. Fifteen minutes after that, I stopped and looked around me and realized that the palace I had been heading for was now below me. Above was another intriguing looking fort. But it was far, far above, and it was very hot out (about 32 Celsius, I think, and hotter in the direct sun). I had my backpack and no hat. But when I saw the extensive battlements above, and realized that I was half way there, I could not turn back. “Yes,” he said. He suggested I walk with them, but I didn’t want to slow them down so I declined. A few minutes later a trio of teen males came by and also gave me encouraging signs and signals, although they spoke no English. They suggested that I follow them up a rocky shortcut but I acted out how I would tip over if I tried that. They laughed when they realized what I was “saying” and carried on. Where I ended up was worth the hike but it took me about two and a half hours to ascend to the upper fort, which is called the Jaigarh Fort, and make my way around it, and by then I was worried that if I didn’t go straight down — without a detour to the Amber Fort — my tuk-tuk driver would give up and return to Jaipur without me. Jaigarh Fort was where the royal family went when there was a threat of war, and according to a pamphlet I read, “is one of the few military structures of medieval India preserved almost intact, containing palaces, gardens, open and closed reservoirs, a granary, an armoury, a well planned cannon foundry, several temples, a tower and a giant mounted cannon — the Jai Ban, which has a twenty feet long barrel” (Go Jaipur). 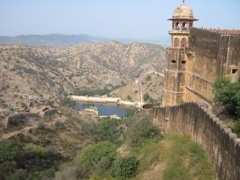 When the Amber Palace below was threatened, drums would sound and the royal family would beat a hasty retreat to Jaigarh Fort. a fantastic view of the cities of Amber and Jaipur. I also astounded the two guides who showed me around when I told them I’d walked up. “That’s a long hike!” one said. “How old are you?” He obviously thought that I must look much older than my age if I had managed to scale that mountain on my own. It was a long hike and, tired and sun-burnt, I took a tuk-tuk down to my tuk-tuk. As is the usual outcome of my misadventures, I had an experience I’d never have had without my little mistake, got a spectacular view of Jaipur and a great chunk of exercise. And really, I did see the Amber Fort — from a bird’s eye view. It looked fabulous. 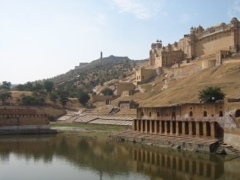 This entry was posted in In India, Jaipur, My Trip To India and tagged Amber Fort, Bollywood, India, Jaipur, Ra-One. Bookmark the permalink.